TakagiThe Department of Energy implements energy conservation standards and test procedures for many appliances and equipment that we use every day, like water heaters, refrigerators, air conditioners, clothes dryers, lighting, and more. Our water heaters will remain as efficient and reliable as ever. Our water heater’s delivery capacity has not changed. The DOE’s new test procedure and metric, however, will change the way that we talk about it. No. 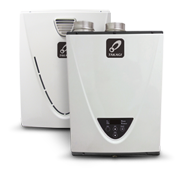 Our water heaters will still be available in the same sizes. The only thing that is changing is the way manufacturers communicate water heater performance based on new government guidelines. UEF ratings are determined by assigning water heaters into one of four different categories of hot water usage and then evaluating their performance based on that usage. These categories are called bins. 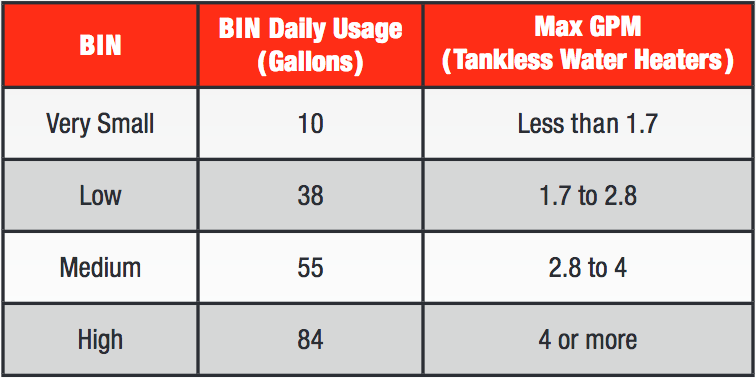 A tankless water heater is assigned a UEF within its bin based upon its gallon per minute flow rate. A higher UEF means a water heater is more energy efficient and will cost less to operate compared to other water heaters in the same bin. A water heater’s UEF can only be compared with water heaters within the same bin. For example a high bin water heater with a UEF of 0.95 does not perform exactly the same as that of a low bin water heater with a UEF of 0.95.